I started this blog when we launched on our journey in the motor home to travel for a year. We traveled through 14 western states and had the time of our lives. I didn’t realize how much I would miss traveling. Life was so simple while living in those 300 square feet. We moved from Homer into this house ten months ago. We both thought we’d travel more than we have in those ten months, but it wasn’t meant to be. Therefore, I’m taking a break from writing until we get a chance to travel again. Thank you so much for following along through our travels and allowing me my cerebrations. I have enjoyed it and hope you have, too! 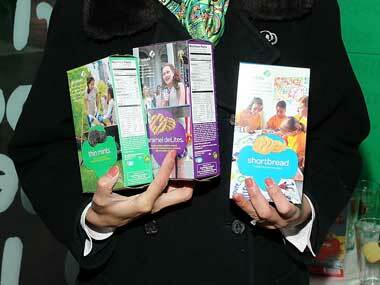 Well, I did my civic duty the other day and bought a couple of Girl Scout Cookie boxes. This year I got Thin Mints and Ra Ra Raisins. 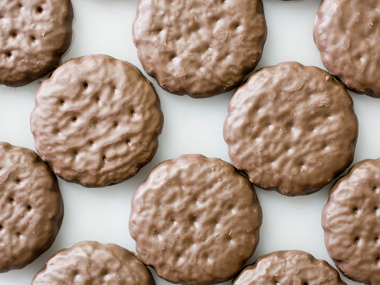 We dish up who-knew, fun facts about Girl Scout Cookies, America’s most beloved treat. From January through March of each year, Girl Scout cookies are the number one cookie brand in the United States. The rest of the year, Oreos top the bestselling cookie list. 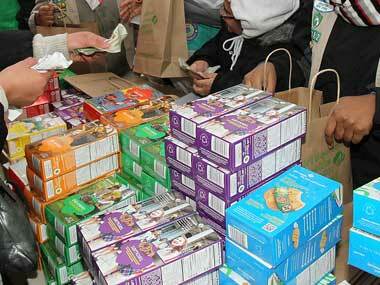 About 200 million boxes of Girl Scout cookies are sold each year. Americans loves themselves some Thin Mints. Thin Mints account for a quarter of all sales. 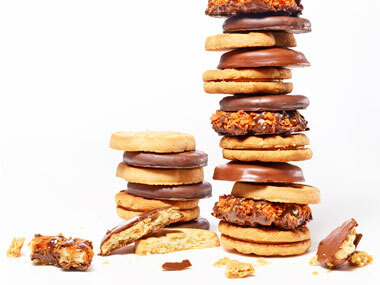 Samoas/Caramel deLites make up 19% of sales, and Peanut Butter Patties/Tagalongs come in at 13%. 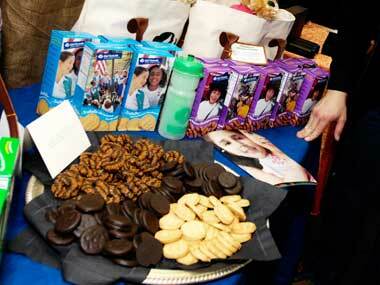 During peak bake times, Girl Scout cookie producers bake over 4.5 million Thin Mints per day. That’s right, per day. The Girl Scouts recipes are keeping with the times. No preservatives, “zero trans fats per serving”—plus, Thin Mints, Thanks-A-Lot, Lemonades and Peanut Butter Patties Girl Scout Cookies are vegan. The most fat and calories? That would be the “healthy,” nutrient-enriched new Mango Crèmes. The box might be a little lighter than you remember. 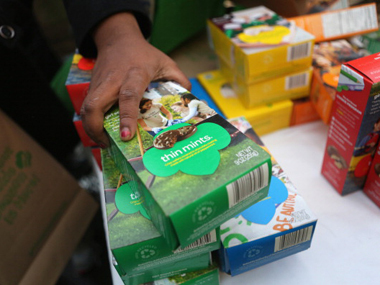 In 2009, the cost of baking Girl Scout cookies rose, but rather than opt for a price spike, the organization downsized the size of the Lemon Chalet Cremes and stuffed fewer cookies in boxes of Thin Mints and Tagalongs. The first cookies were home-baked. Before the business exploded, in the 1920s and 1930s, Girl Scouts around America baked their own sugar cookies and sold them to raise money for their activities. 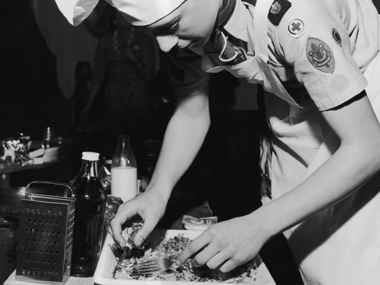 During World War II, cookie sales were put on hold. 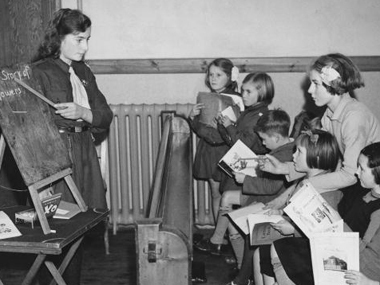 Due to sugar, flour, and butter shortages caused by the war, in 1942, Girl Scouts sold calendars in lieu of cookies. 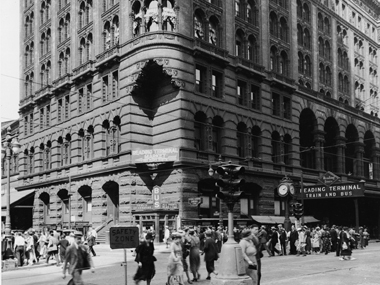 In 1933, Girl Scouts of Greater Philadelphia Council sold cookies in the city’s gas and electric company windows. Then, a box of 44 cookies rang in at 23 cents, or you could splurge for six boxes at $1.24. 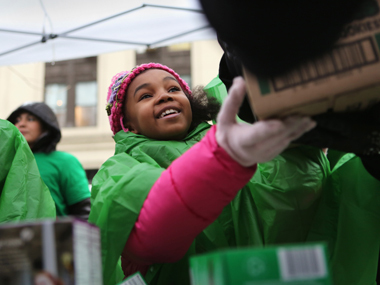 Cookie sales aside, Girl Scouts are leaders. Fifty-nine percent of women in the U.S. Senate and 60 percent of women in the House of Representatives are Girl Scouts alumnae. I know that lots of people like Donald Trump. And lots of people don’t like Donald Trump. Anyway, John Oliver devoted his entire 30 minute show, Last Week Tonight, to Donald Trump. While I’ve never watched his show on TV, I have watched excerpts that appear on Facebook. Ever heard of the Squatty Potty? I hadn’t until it ‘surfaced’ on Facebook. Apparently from the nearly 5000 positive reviews on amazon.com, it does. Need some more good laughs today? Read the reviews on the 9″ high version amazon. And then additional reviews on the 7″ high version. 12 oil paintings per second, all done by over 100 painters trained in the same style. Loving Vincent is an investigation delving into the life and controversial death of Vincent Van Gogh, one of the world’s most beloved painters, told by his paintings and by the characters that inhabit them. The intrigue unfolds through interviews with the characters closest to Vincent and through dramatic reconstructions of the events leading up to his death. Loving Vincent features over one hundred and twenty of Vincent Van Gogh’s greatest paintings. The plot, drawn from the 800 letters written by the painter himself, lead us to the significant people and events in the time leading up to his unexpected death. Loving Vincent will be the world’s first feature-length painted animation, and is brought to you by Oscar winning film companies Breakthru Films and Trademark Films. Every frame in the Loving Vincent movie is an oil painting on canvas, using the very same technique in which Vincent himself painted. And we seldom know what that story is, how long it’s been going on, and when it’s going to end. COUPEVILLE, Wash. – Instead of sightseeing on a ferry, 7-year-old Giovanni, his mom, Christina Fabian, and dad, George Alvarado should have already boarded a flight. “We were on Flight 171,” said Fabian. But the trip from Bellingham back home to Phoenix was interrupted by Giovanni’s allergic reaction. “He began to get very itchy and he was scratching all over. He started to get hives, so we informed the flight attendant who informed us that there’s dogs on every flight and just smirked, which minimized his experience for me,” said Fabian. The allergic reaction delayed take off, and soon the family was told they’d have to deboard. “We understood. They helped us off the plane, but as we gathered our stuff the people toward the back of the plane clapped,” said Fabian. Giovanni’s feelings were crushed by the clapping. “People who don’t have sadness, they don’t understand,” he said. What passengers on the flight didn’t know is the trip to Bellingham was on a bucket list. It was a chance to visit family for a very important reason. “My dad is sick with stage four throat cancer,” said Giovanni. Alvarado’s cancer is terminal and with time running out, the trip was supposed to be a special one. “To make memories, and I am sad that this has to be a memory with my dad,” said Giovanni. “As a dad I was just hopeless right there. I just looked at the people clapping. I was just shaking my head, I was like, man, let’s get out of here,” said Alvarado. “You don’t know how much time people have or why they are hurting. Just be nice. Be kind,” said Alvarado. A cancer patient’s call for courtesy is the message he leaves behind as the family prepares to head home. The airline, Allegiant, is in direct contact with the family and has offered their apologies for the negative experience and the inconvenience. The seventh cultural concept explored comes from India. Jugaad is what we in America would call a MacGyver Moment. It’s where you ingenuously think of a solution to fix a problem using only materials that you have on hand. Jugaad alternatively Juggaar)is a Hindi word that means “an innovative fix” or a “repair derived from ingenuity,” — think a jury-rigged sled for snowy fun, or a bicycle chain repaired with some duct tape. It’s a frequently used word in India where frugal fixes are revered. But the idea has further merit beyond figuring out solutions to get by with less. It also encapsulates the spirit of doing something innovative. Jugaad’s idea of frugal innovation can definitely be applied in the individual life — what about setting aside a half a day twice a year where everyone in your family fixes something that needs repair? You’ll save money, spend time together, test problem-solving skills, and get a sense of accomplishment from repairing instead of buying new. Sadly, I think this is one of the most important things we are losing in America–the ability to think outside the box to solve problems with very little consumption. The sixth cultural concept explored comes from Germany. Gemütlichkeit (Iguh-myoot-lish-KYT) refers to a feeling of feeling cozy and content combined with good food and good drinks and, the most important part, great people to enjoy it all. Gemütlichkeit is a German word that means almost the same thing as hygge, and also has its peak usage during the winter. In fact, some linguists posit that the word (and concept) of hygge likely came from the German idea. Blogger Constanze’s entry on the German Language Blog for “Untranslatable German Words” describes how the word means more than just cozy: “A soft chair in a coffee shop might be considered ‘cosy’. An introvert by nature, I will have trouble incorporating this into my life. The fifth cultural concept explored also comes from Japan. Kaizen is a very new term that is the practice of continuous improvement. 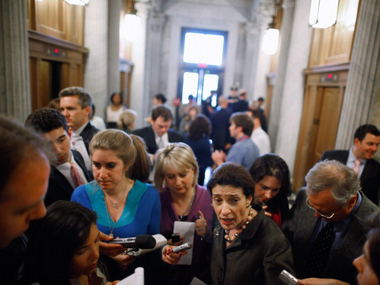 Continuous steps are taken to improve individuals or organizations. 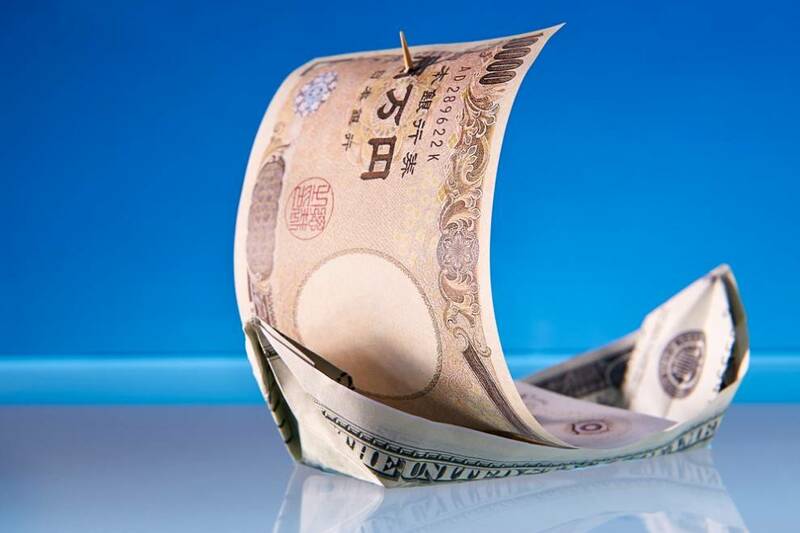 Kaizen is another Japanese concept, one that means “continuous improvement,” and could be taken to mean the opposite of wabi-sabi (though as you’ll see, it depends on the interpretation). It’s a very new idea, only coined in 1986, and generally used in business circumstances. As this tutorial details, “Kaizen is a system that involves every employee, from upper management to the cleaning crew. Everyone is encouraged to come up with small improvement suggestions on a regular basis. This is not a once a month or once a year activity. It is continuous. These are regular, small improvements, not major changes. Applied to your own life, it could mean daily or weekly check-ins about goals, as opposed to making New Year’s resolutions, or a more organized path based on small changes toward weight loss, a personal project or a hobby. Dear friends of ours have their own way of doing this. At least once a year they examine their lives, individually and as a couple, in seven areas and determine what they need to do to improve. The fourth cultural concept explored comes from Japan. 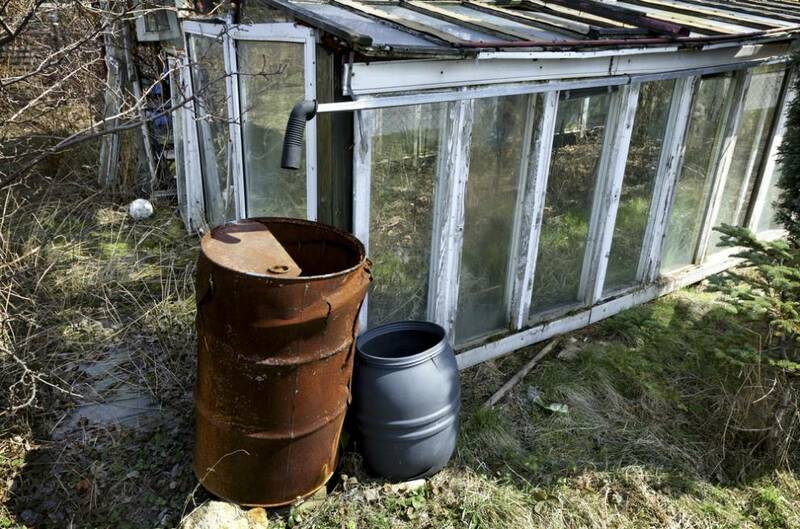 Wabi-sabi is the honoring of the beauty of things imperfect, impermanent, and incomplete. A tradition of things modest and humble. 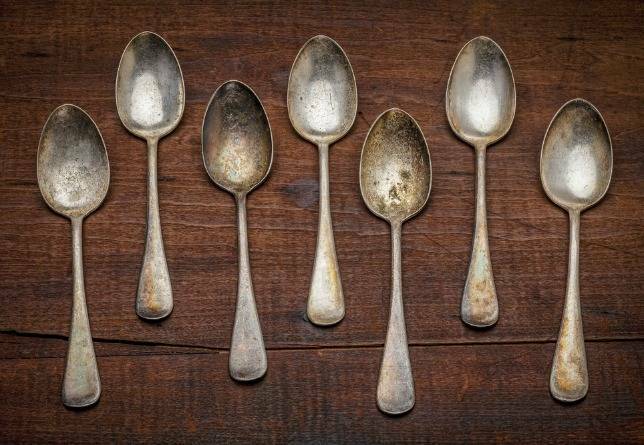 Wabi-sabi is the Japanese idea of embracing the imperfect, of celebrating the worn, the cracked, the patinaed, both as a decorative concept and a spiritual one — it’s an acceptance of the toll that life takes on us all. We might also be less stressed, and more attentive to the details, which are the keys to mindfulness. It’s an acceptance of the toll that life takes on us all.